President of the United States Donald Trump and French President Emmanuel Macron discussed a number of international issues in the framework of telephone talks. The leaders of the United States and France discussed "the possibilities of strengthening the cooperation of the two countries to find solutions to the crisis in Syria and Iraq and counteract the influence of Iran." Furthermore, during the conversation the Presidents raised the issue of political settlement of the situation in Libya and the fight against terrorism in Africa. Reportedly, the politicians agreed on the importance of "restoring the civil rights of the Venezuelan people." 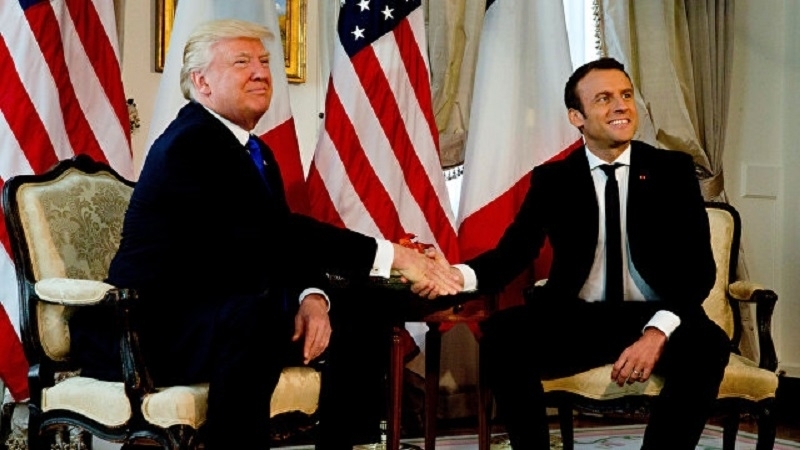 Moreover, Trump and Macron reaffirmed "the need to implement the Minsk agreements by all parties for a peaceful settlement of the situation in Ukraine." During the conversation, "mutual interests" regarding North Korea were discussed as well.